Tracy Keizer graduated in 2002 from Dordt College in Sioux Center, Iowa with a degree in psychology and attended and graduated from Physician Assistant school at Augsburg College in 2007. 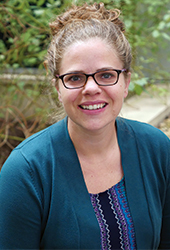 Tracy Keizer has been working in the field of Psychiatry since graduating PA school and has worked for 10 years at Regions hospital, currently serving as Lead Advanced Practice Clinician as well as the Psychiatry APC Fellowship Director. Tracy Keizer has served on the MN Academy of Physician Assistant for several years as director at large, reimbursement chair as well as academy president in 2012-2013.